BLOWOUT SALE! Glass cylinder vase, 10" tall, 8" diameter opening. These are nice quality glass, perfect for lower profile centerpieces and bulkier items. Glass vases may require additional shipping. 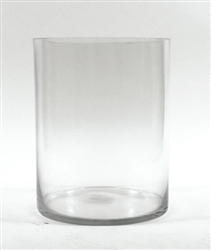 Shipping discount promotions do not apply to glass vases. 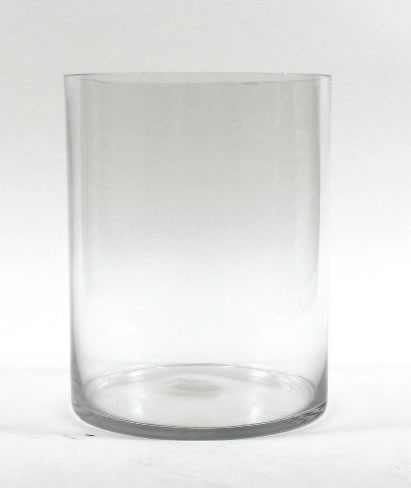 Glass Rectangular Vase, 16" x 6" Glass Rectangular Vase, 18" x 4" Glass Cylinder Vase, 6" x 4" Glass Cylinder Vase, 16" x 8"
Glass Rectangular Vase, 12" x 3" Glass Cylinder Vase, 8" x 4" Round Mirror, 10" (for undereath vases) Glass Rectangular Vase, 6" x 3"